Jaffa Orange & Grapefruit shake (1 person) - Mehadrin Tnuport Export L.P.
Cut the Sunrise grapefruit and the orange into halves and juice them. Cut the lime in half and juice it. In a food processor, blend the juices with mint leaves, honey and ice until the mixture is smooth. 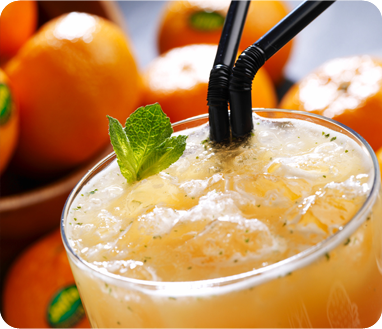 Pour the freshly squeezed juice into a tall serving glass and decorate with mint leaves.